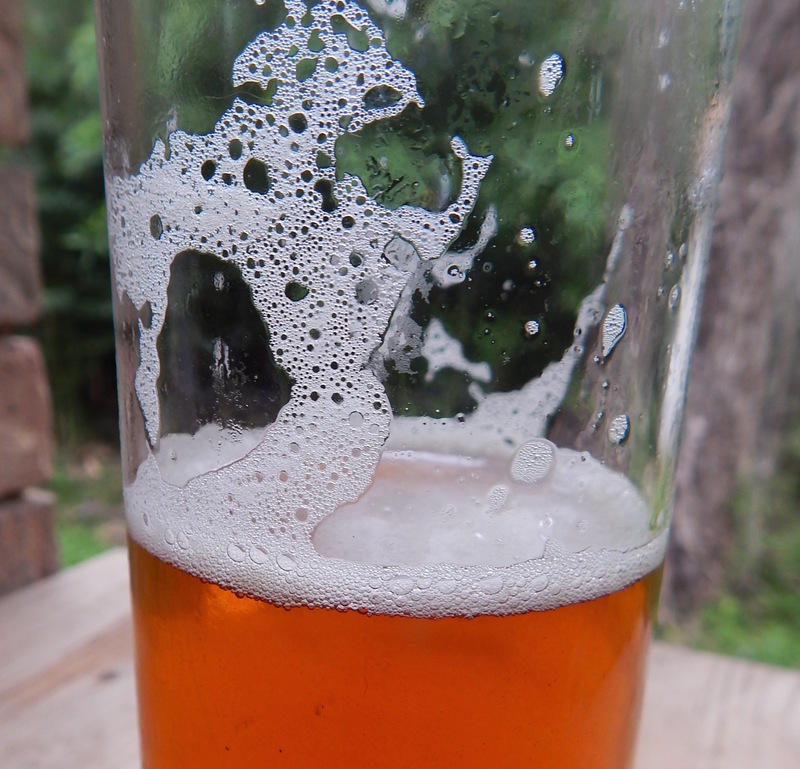 Just as there are elements that contribute to the formation and stability of beer foam, there are also elements that accelerate the rate at which foam collapses. Brewers tend to think of these foam negative elements as something to be avoided. If they are in excess, they are — of course — undesirable. However, if beer contained no foam negative elements, foam would continue to form as the beer released carbon dioxide bubbles. And if this foam were not collapsable, it would soon be an impediment to drinking the beer. As such, I would argue that foam negative elements are just as important to foam as foam negative elements, when present in the right quantities. Ethanol, the most abundant alcohol produced during a beer fermentation, is foam negative at normal beer concentrations. Oddly enough, though, non-alcoholic beers show poor foam. But, if you increase the alcohol percentage of a beer from near zero to 1%, ethanol becomes a foam positive element. However, at concentrations over 2%, it is foam negative. “Higher alcohols,” alcohols with more than the two carbon atoms ethanol has, are also foam negative. In fact, the degree to which they impact foam is directly proportional to their length. In other words, the “higher” the alcohol (the more carbon atoms it contains), the more foam negative it is. Both of these facts are important when considering strong beers. Strong beers have more ethanol in them than regular strength beers. And, high gravity fermentations tend to result in greater production of higher alcohols, especially if the brewer did not pitch an adequate amount of yeast. This is part of the reason why many big beers do not produce a large foam stand. However, there are lipids in the beer itself. The vast majority of the lipids in beer come from yeast. Barley contains lipids, but most barley lipids do not make it through the brewing process intact. As a healthy pitch of yeast is needed to produce quality beer, there is no way around the presence of some yeast lipids in beer. And obviously, in most cases they do not completely inhibit the formation of foam. Yeast contribute another foam negative element to beer — proteinase A. Proteinase A is an enzyme that degrades proteins. As large proteins are the major foam positive element in beer foam, proteinase A is foam negative. The amount of proteinase A secreted by the yeast into the fermenting wort depends on their health. When yeast struggle to ferment a wort, they produce more proteinase A. This is yet another thing to consider when brewing a strong beer. High gravity fermentations stress the yeast more than lower gravity fermentations. Running a good fermentation will not only decrease the amount of higher alcohols, but also the amount of proteinase A. Both these things will benefit the beer’s foam. So, paradoxically, although yeast produce all three of the major foam negative elements — alcohols, lipids, and proteinase A — pitching more yeast (to a point) will result in better foam. In the next (and final) installment of this article, I’ll discuss what can be done in the brewhouse to influence beer foam.